Today, encryption is a popular method to ensure online safety. However, more and more cybercriminals are using encryption too. This is to stay anonymous while they spread malware. Hence, network security becomes the need of an hour. Almost 50% of internet traffic got encryption as of October 2017. An increase of 12% from 2016. Attackers encrypting malware were 70%, against 19% in 2016. CIOs opted for automation and AI for network security. Therefore, you need a reliable VPN to ensure network security. And Le VPN is among the most reliable VPN providers in the market today. We are living in the world of internet. Here, everything is smart and virtually connected. Life has become very easy with the smart systems for home, kitchen appliances, etc. However, this is not at all safe. Anything and everything connected to the Internet is vulnerable. The best way to make these devices secure is with a VPN or proxy server. A VPN or Virtual Private Network ensures secure internet connection. Hence, VPNs are gaining popularity. This allows you to hide IP address and bypass restrictions. However, make sure you select a reliable VPN service provider. Le VPN improves your online security in many ways. It ensures your network security. Your data is safe from online hackers. A proxy server is a type of computer that allows you to access sites remotely. Proxy servers allow redirecting web traffic. Usually, the employers limit the internet usage of employees with the help of proxy settings. For example, an employer will restrict access to Facebook, YouTube, or sports streaming websites. This is done to enhance workers’ productivity. However, you can bypass these proxy settings with the help of best proxy server. First of all, a VPN is safer to ensure network security. It secures your internet connection. To get off with the network security threats, opt for Le VPN. As you know, Le VPN allows your computers to connect privately over the internet. And your computer system is hidden behind Le VPN’s numerous VPN servers. As a result, your system, as well as data, is safe from external online attacks. The connection is highly encrypted. Even if your system is hacked, the hacker cannot reach your data. It is necessary to have a VPN service that ensures your online privacy. 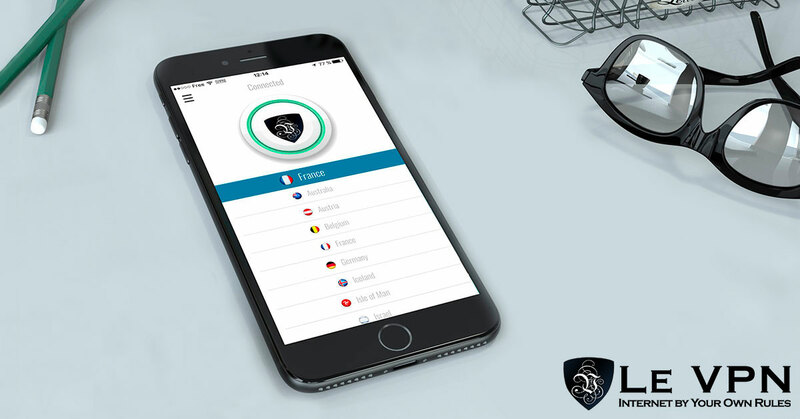 Le VPN assures your privacy and lets you bypass any internet restrictions. This way, you are safe even if you are accessing blocked content. Le VPN’s highly secure VPN servers create and maintain a secure network. Since no third party can reach your important information. With Le VPN, your network security is on, even if you access open Wi-Fi from public places. If you opt for Le VPN, no one can collect your private data. And your data is 100% safe. Additionally, Le VPN is easy to use and affordable. Subscribe to Le VPN today. Get Le VPN’s 2-year plan for $69.60. I.e. $2.90/month.